With the help of this effect you would be able to see how your photo or a drawing will look like on the wall painted in any of the seven colours avaialble. We belive this free efefct will come handy to the artists and designers. 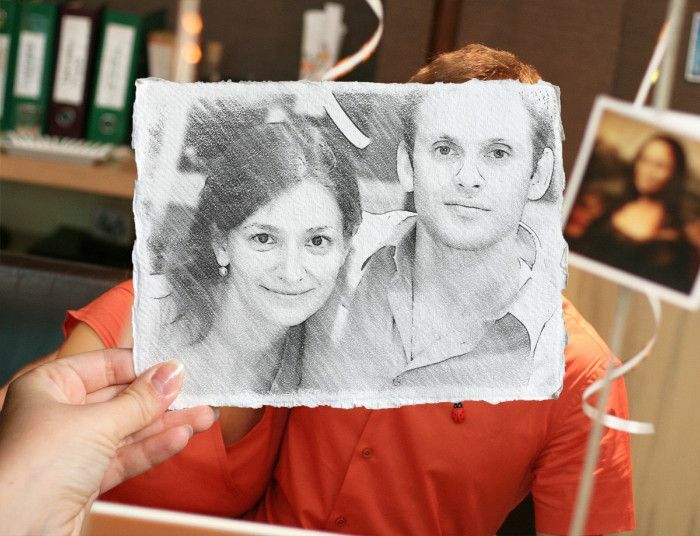 You also have an option to turn the photo into a pencil drawing. If you are an avid traveller or simply enjoy the romantic idea of travelling the seven seas and five continents, then you may be aware of the essential travel items that every traveller must take with them. Traditionally, one would have to take a compass, a travel journal with a pencil, a sketchbook, a camera and a map in a bag with them. 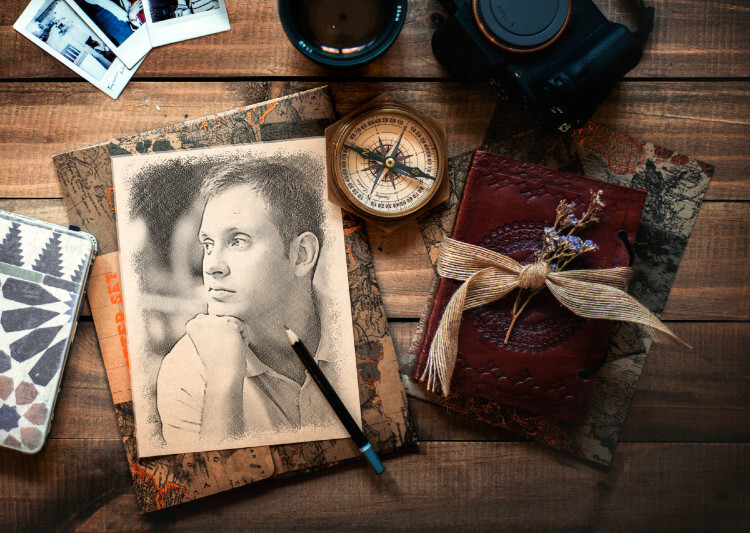 With this effect PhotoFunia takes you on a journey where all your personal travel belongings are spread across a wooden table with a pencil drawn sketch of you or your chosen picture. Simply select an image you would like to turn into a sketch and let the magic happen. Try it today and take your friends and family on this journey with you! Scrolls have always been the stuff of ancient teachings and scholars. Whether it was historical, religious and mystical teachings, scrolls contained both text and pictures to store the information. Nowadays scrolls are a lot less common, but occasionally you can find them in arts and souvenir shops. 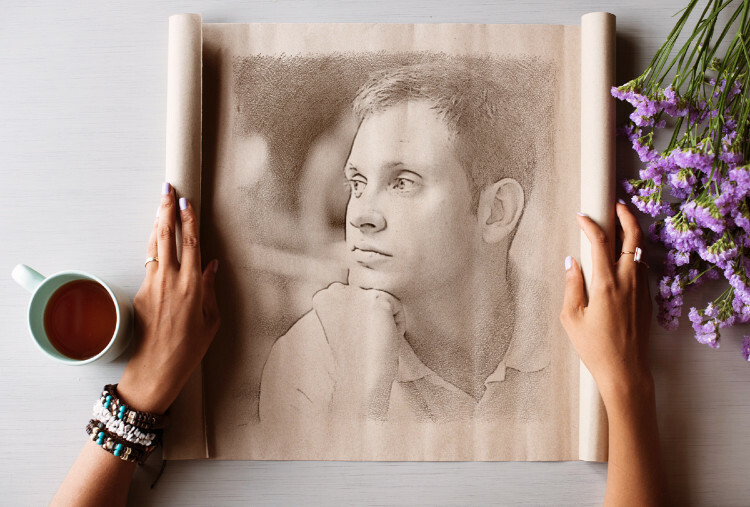 With PhotoFunia you can create your own scroll with an image of your choice drawn with a pencil. Simply choose a picture and let the magic happen. Try it today and share it with your friends and family! Pencil or crayon drawing has always been one of the major forms of expression of visual art. It is particularly considered as a very creative art-form where the artist has much freedom to create the drawing. Pencil drawing artists normally do observational drawings by drawing from immediate surroundings. One such observational drawing is making a drawing from a picture or photo. Now you can become a pencil drawing artist by adding your picture and see it converted from a photo to a coloured pencil drawing. Start drawing today and share with your friends via socials. Combining photography with drawings to produce stunning pictures is the latest craze in producing works of art with much imagination and creativity. This is truly a fascinating concept and it allows for imagination to play with each image. 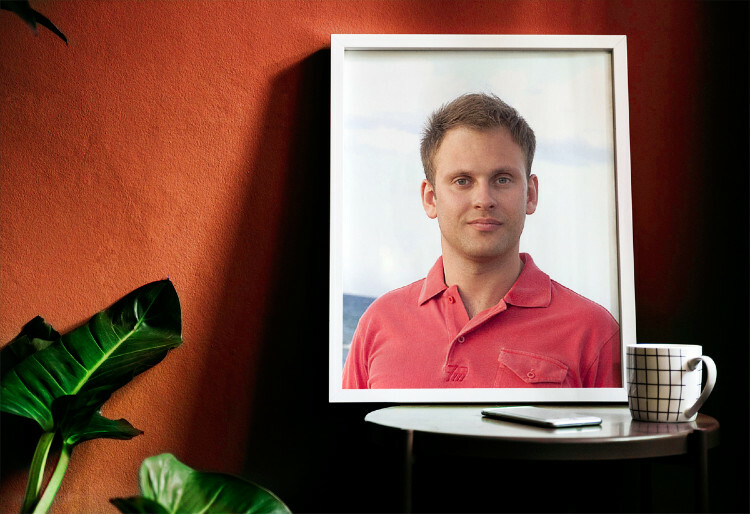 You can also create your own photography based art by selecting a picture which will be transformed into a photograph with a pencil drawing over a section of the image. See how fun it can be today and share it with your friends and family. 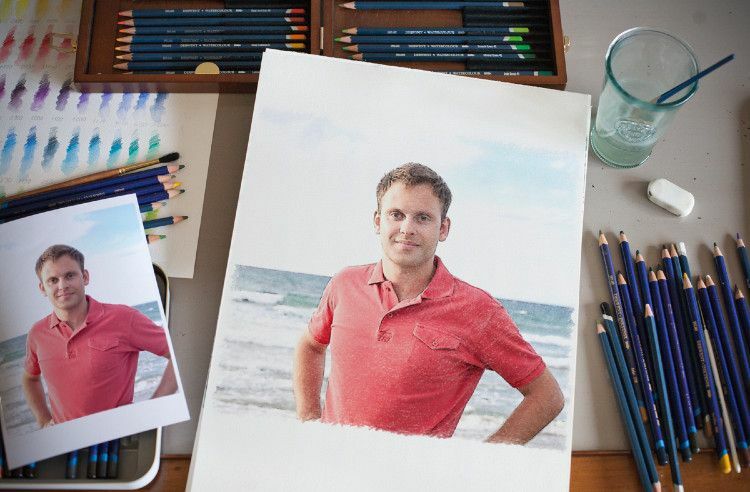 Your portrait drawn on a Drawing lesson with a pencil in color or in black and white.